Hey guys! 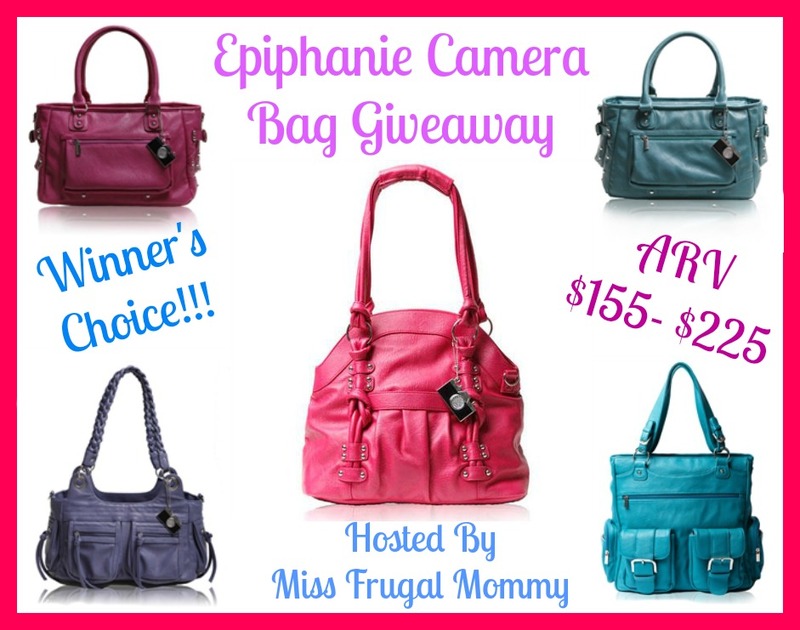 Enter to win an Epiphanie camera bag! If you don't need it for your camera and camera accessories, it's great to use as a regular tote for any occasion. Look how cute they are! All the details are below. Good luck! You can read more about the Lola Camera Bag in Miss Frugal Mommy's review! Now for the exciting part! One lucky fan is going to win any in stock Epiphanie Bag of their choice (ARV $155-$225) This giveaway is open to US residents 18 and older. Enter to win in the rafflecopter below, all entries will be verified, one entrant per household or you will immediately be disqualified. Winner will be contacted via email and has 48 hours to respond before a new winner is chosen. Good Luck!!! I find myself just carrying my Nikon over my shoulder. Once my husband hit it against my brand new car and put a significant.scratch on the car! I'd love a stylish bag like this! I would love this! I bring my camera everywhere and this would just be perfect! Wish I was in the US! This looks really cute!